A rare offering in Phase 3 of The Legend w/ 871 sq feet of gorgeous space. 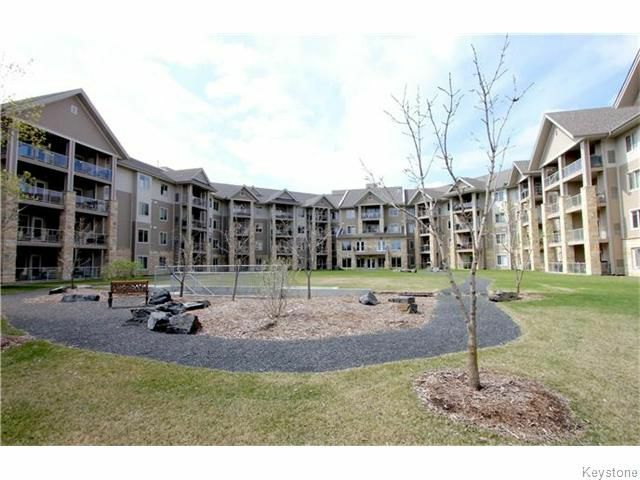 Your open, spacious, & sparkling clean condo overlooks a serene, quiet forest scene off your private balcony. The space offers 9 foot ceilings, good floor space, & the perfect lay out for entertaining. Laminate flooring in the main rooms offer longevity, while the bedroom is carpeted for comfort. The kitchen boasts a subway tiled backsplash, w/ great storage & counter space. If you need storage, we've got it!!! IN-SUITE storage locker, EXTRA storage in parkade, with a master bedroom walk in closet, & TWO front closets! How about the added bonus of an INDOOR PARKING STALL INCLUDED WITH PRICE?!!? With IN-SUITE LAUNDRY, gas hook up for your BBQ on the awesome balcony, AND new construction, it just doesn't get better! This building offers a party room, fitness room, sauna, beautiful walkways, and is close to shopping, parks, & transit.